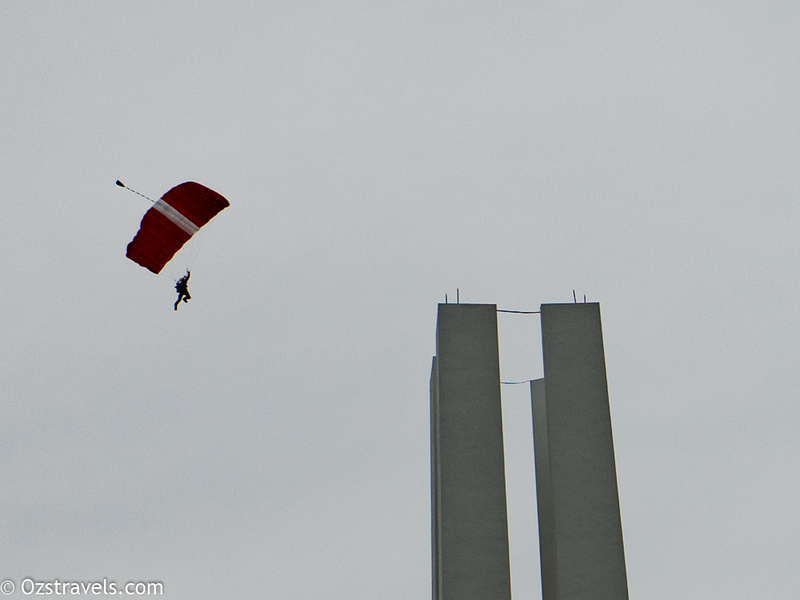 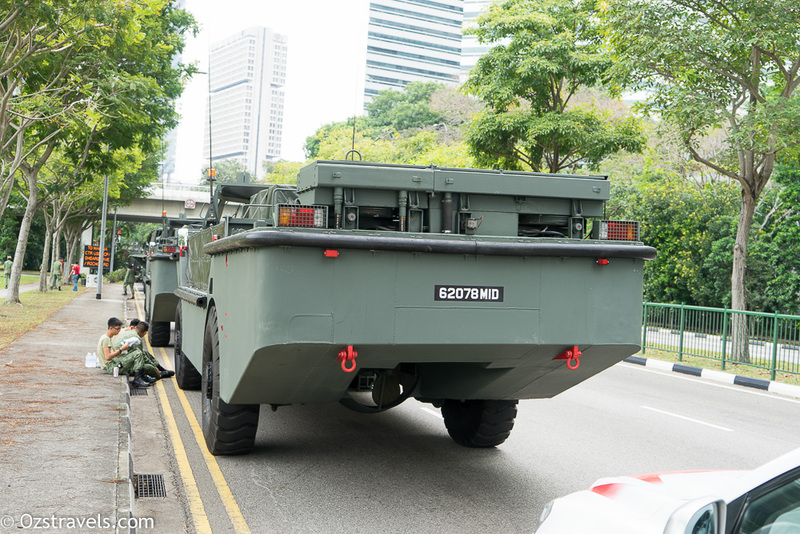 SG50 National Day Parade Practice Part 2 contains photos that I took of the vehicles that took part in the Singapore National Day Parade. 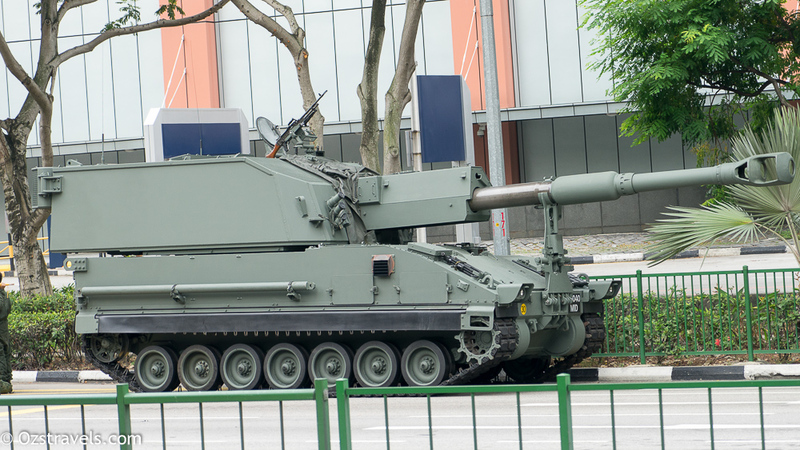 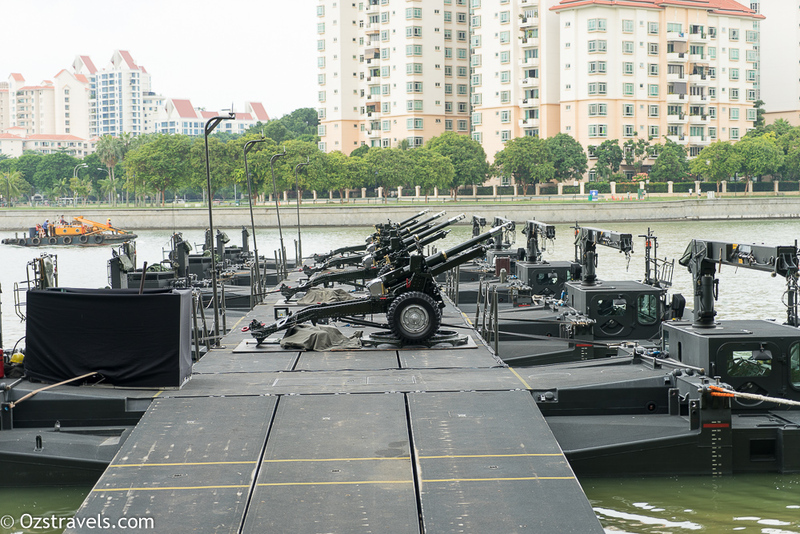 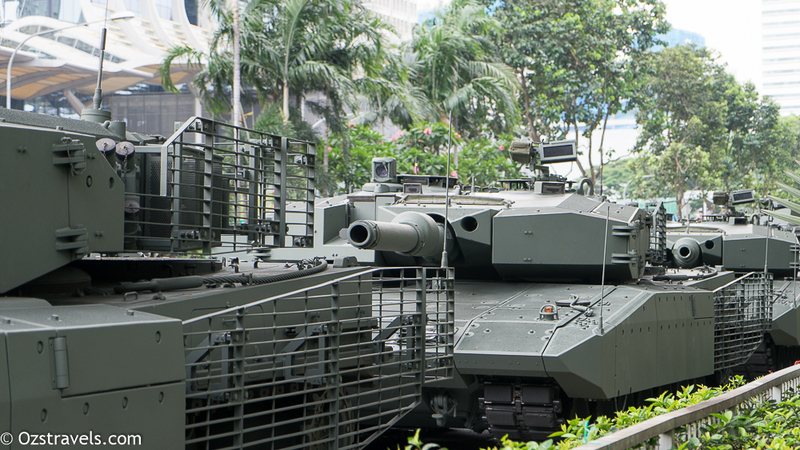 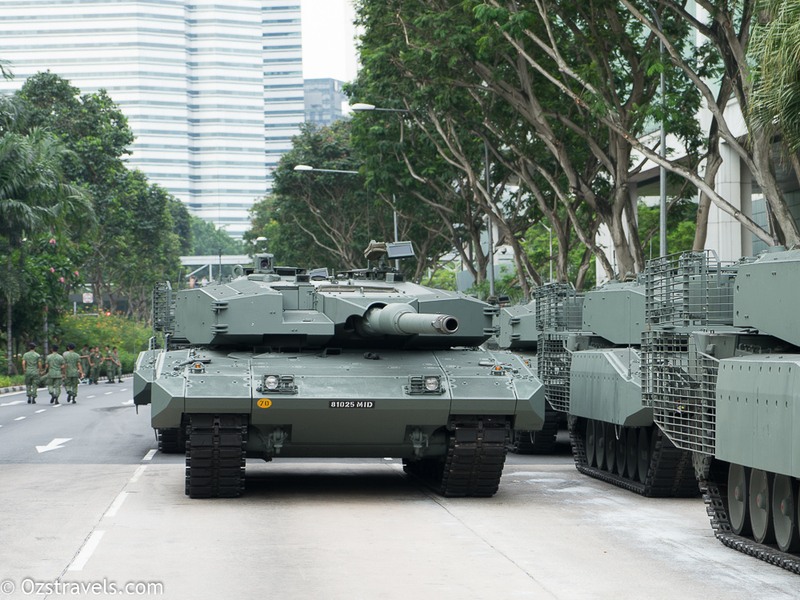 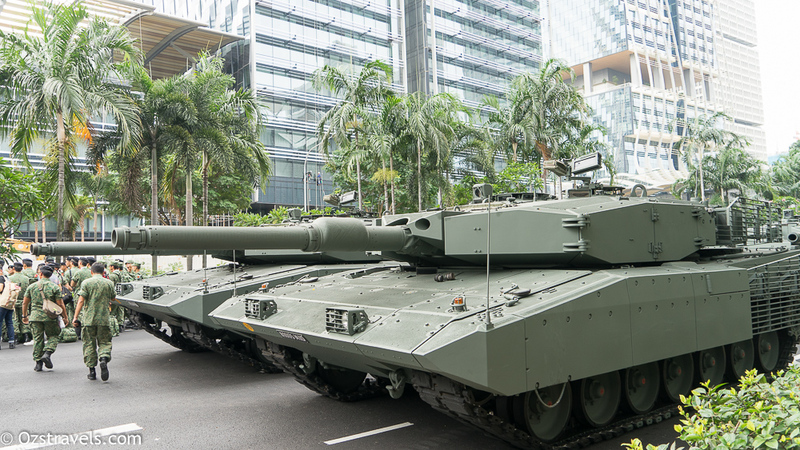 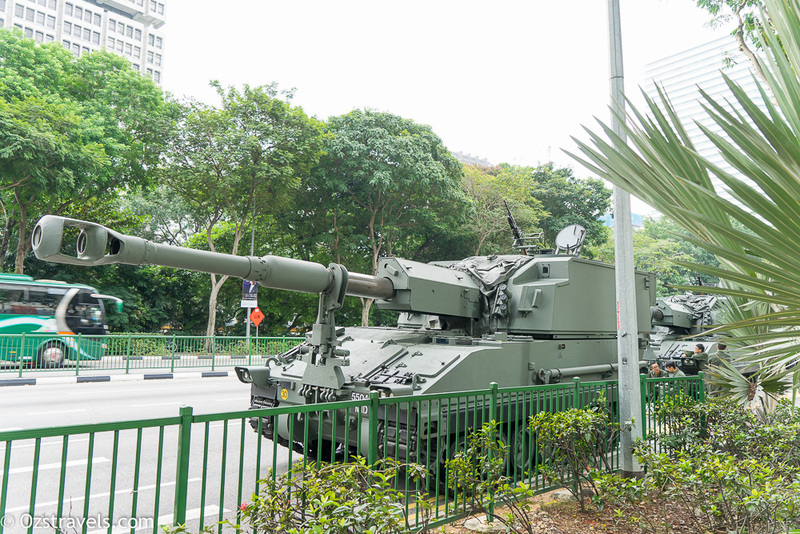 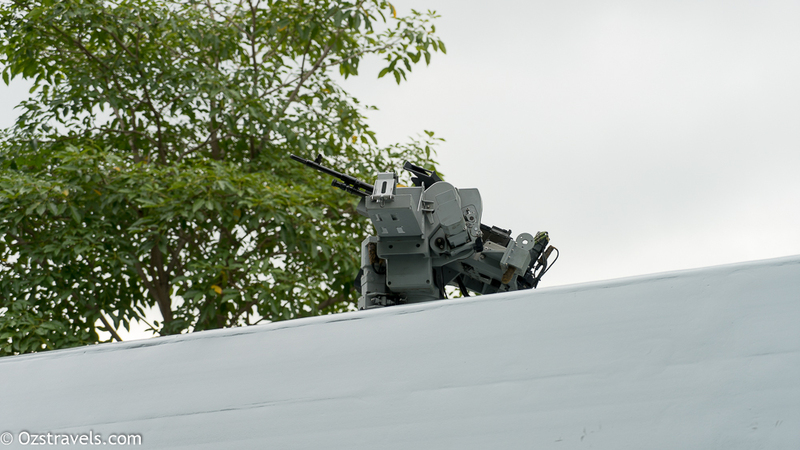 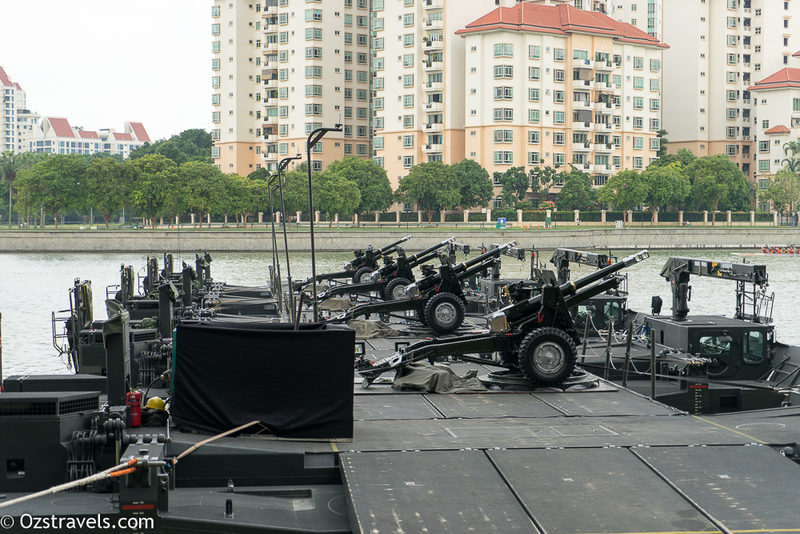 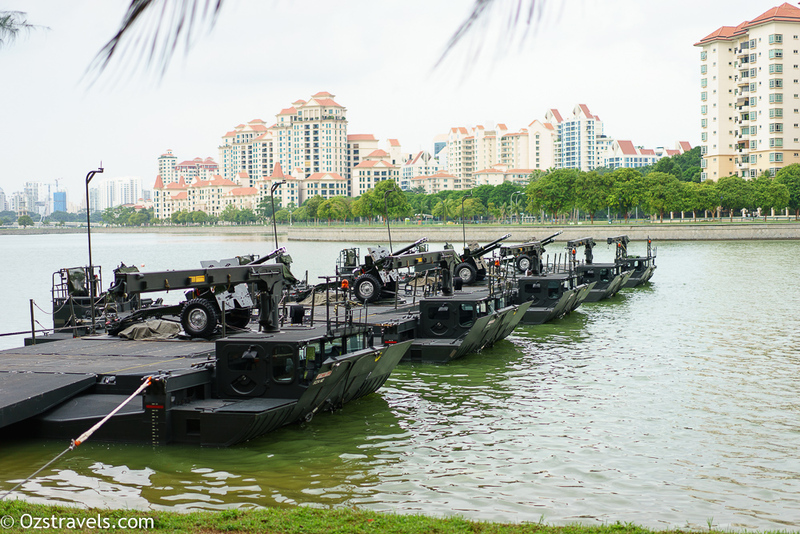 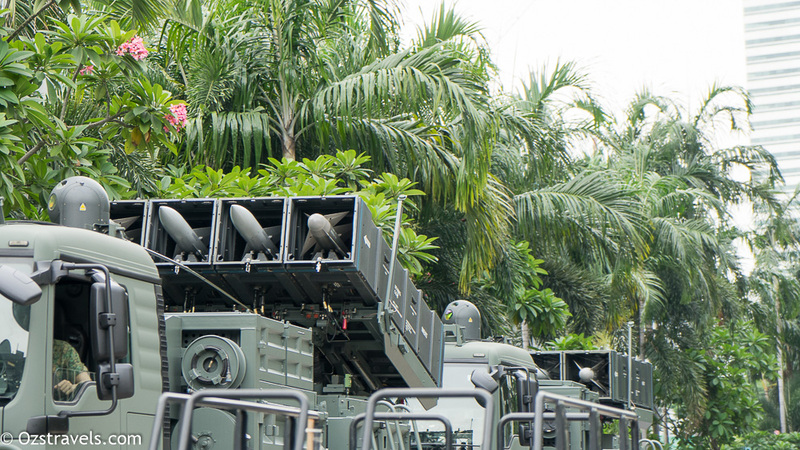 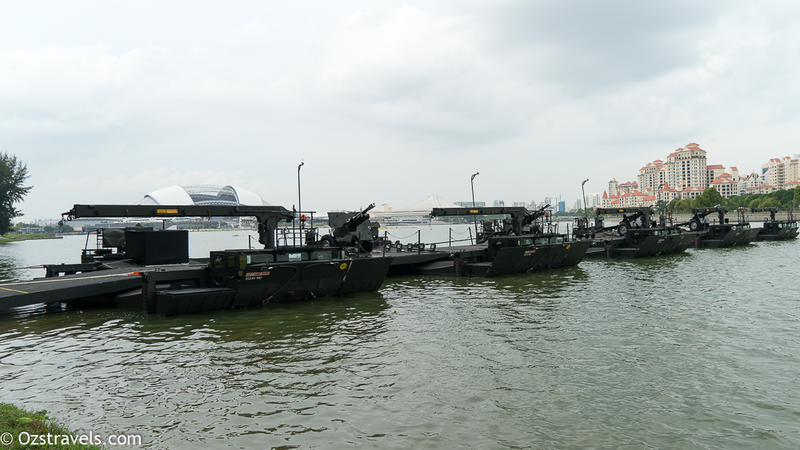 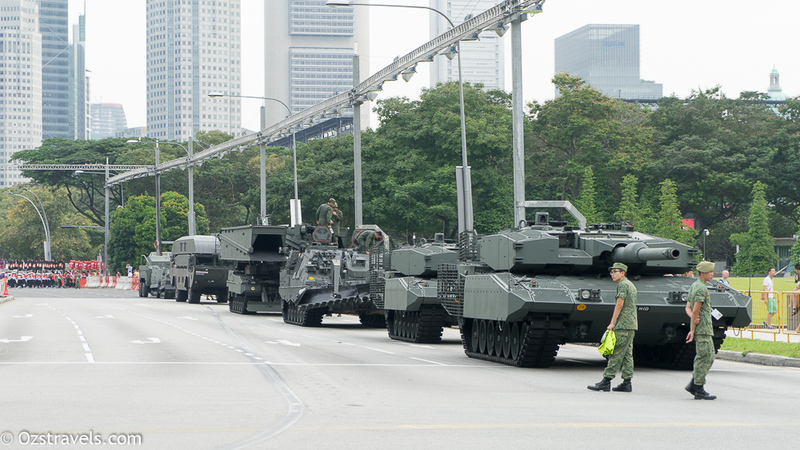 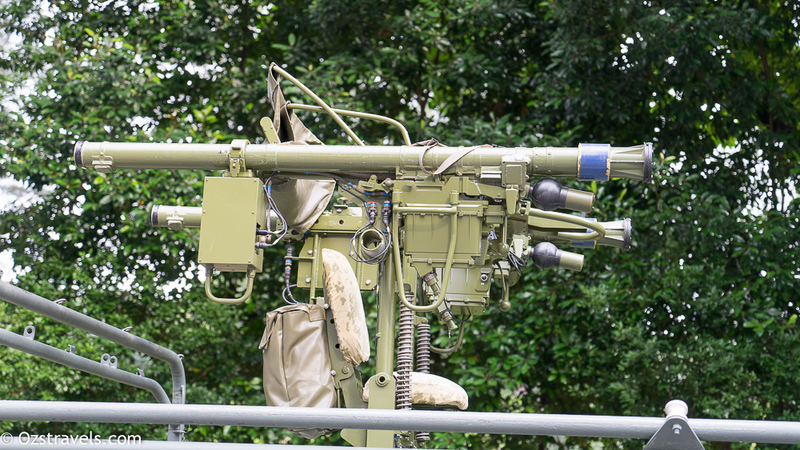 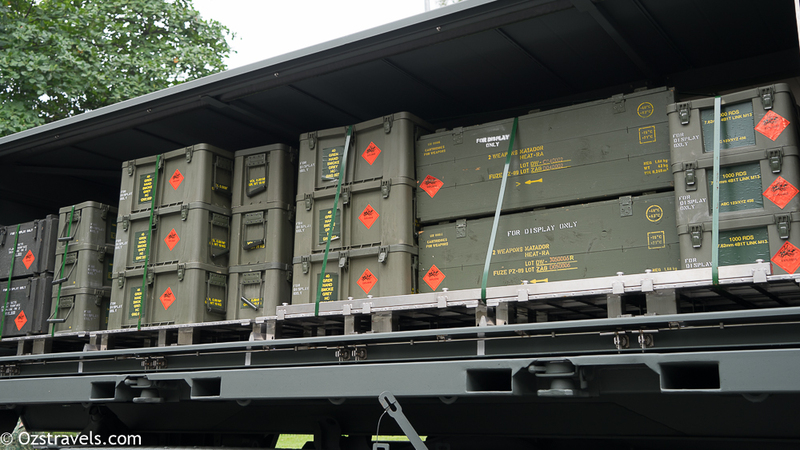 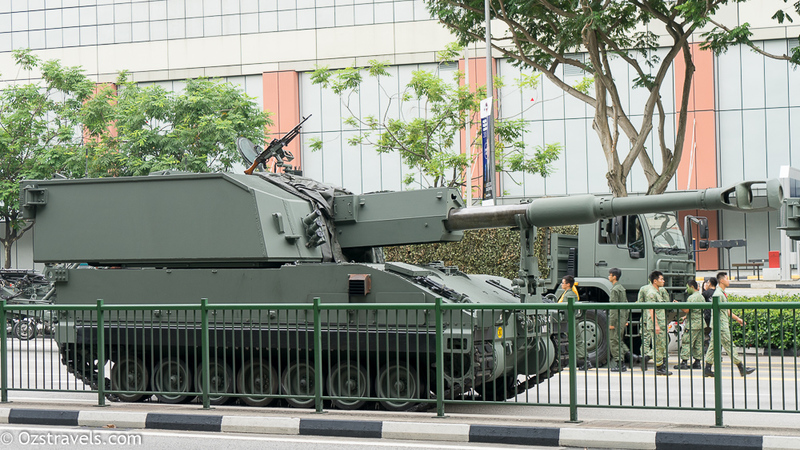 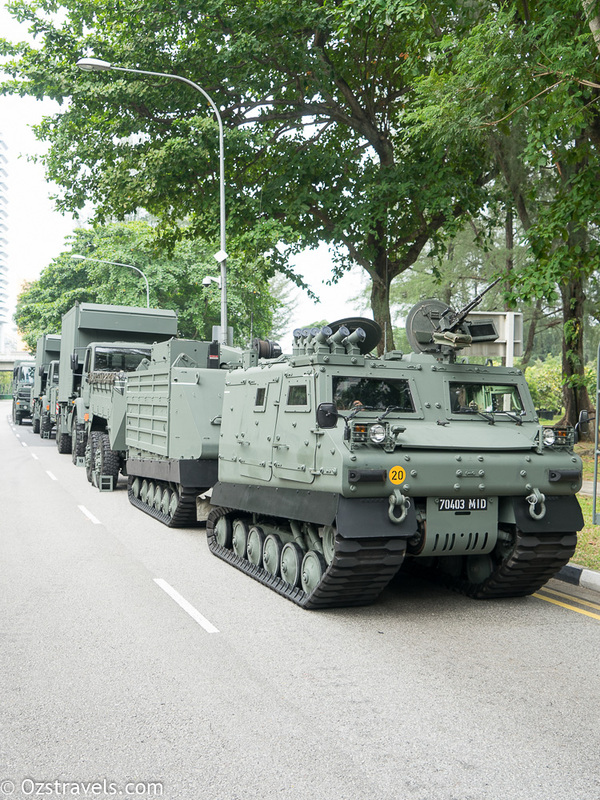 177 vehicles took part in the parade, a very impressive array of vehicles and fire power, especially considering that a large number of the vehicles and weapons were developed and made locally in Singapore. 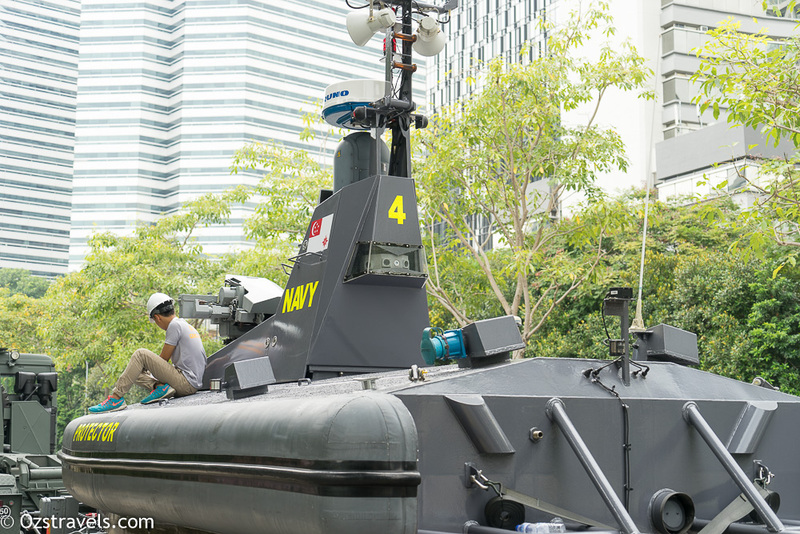 We were able to get up pretty close to all of the vehicles and take as many photos as we wanted, doubtful that most countries would allow the public to get as close or to take photos of their newest equipment, especially a brand new stealth boat, drones, underwater surveillance vehicles and even get up close to a battery of HAWK (Homing All the Way Killer) surface to air missiles. 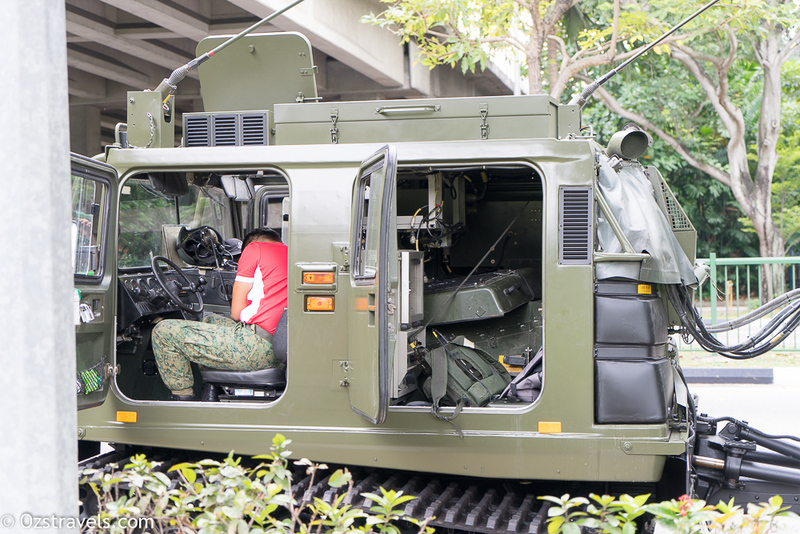 Most of the troops seemed to be enjoying themselves, the only people who were not were the marshals who kept reminding us to get off the road or out of the way, can’t fault them as they were only doing their job to make sure we were not involved in an accident. 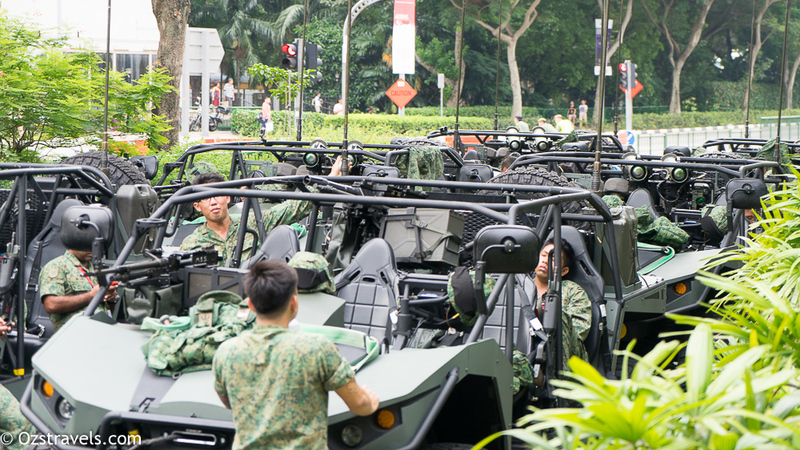 Even macho soldiers have to make sure that they are ready for the camera! 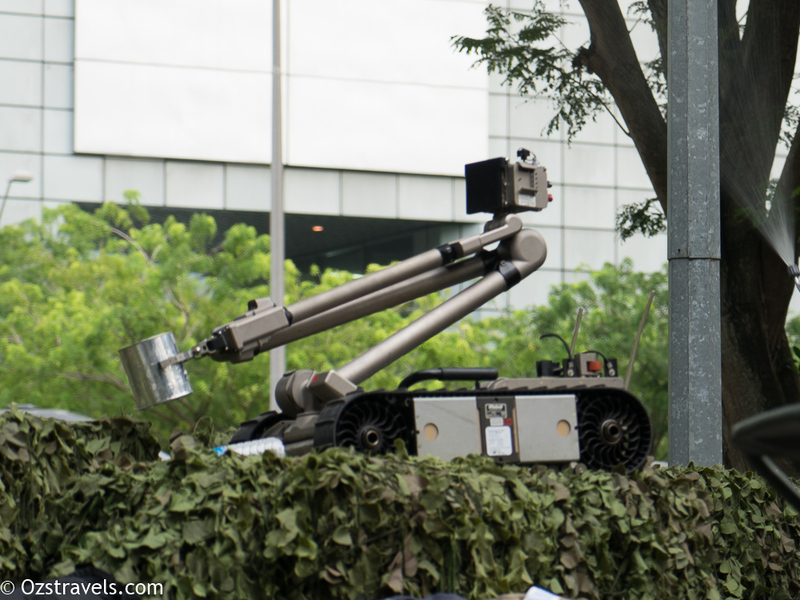 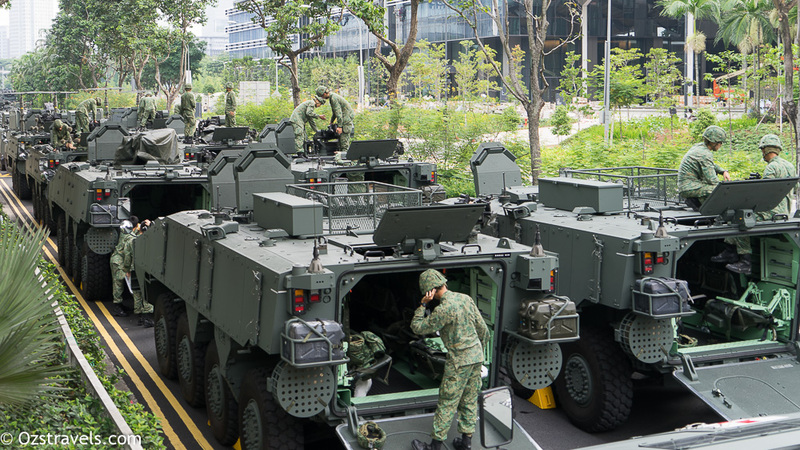 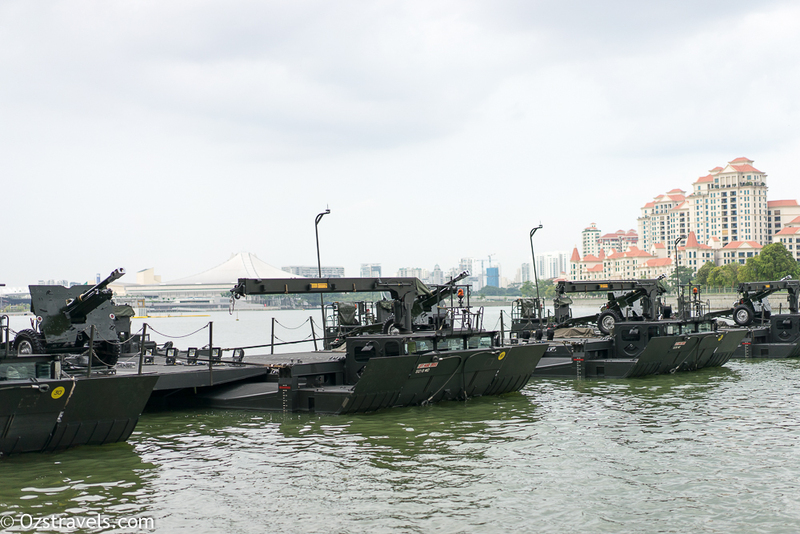 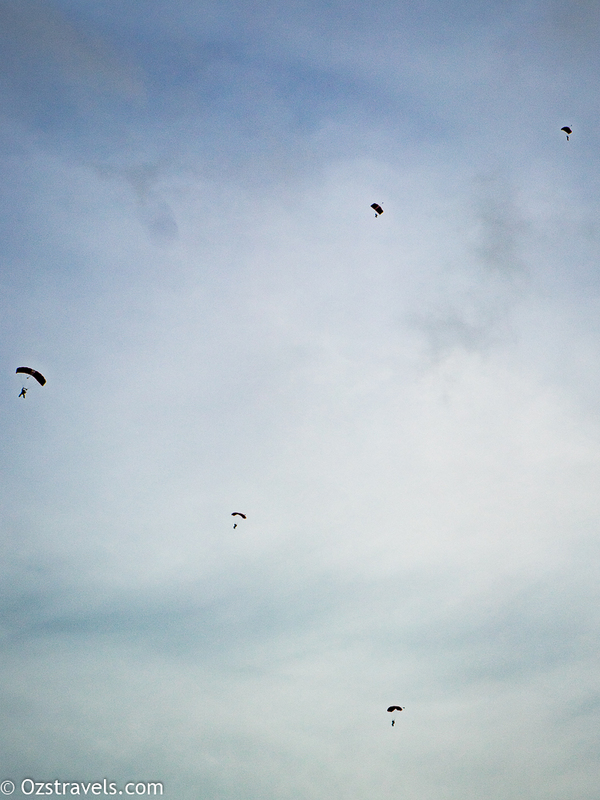 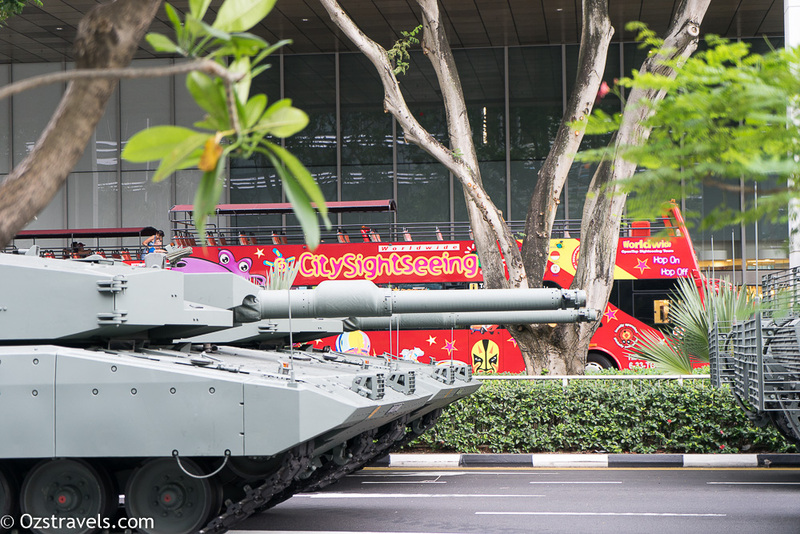 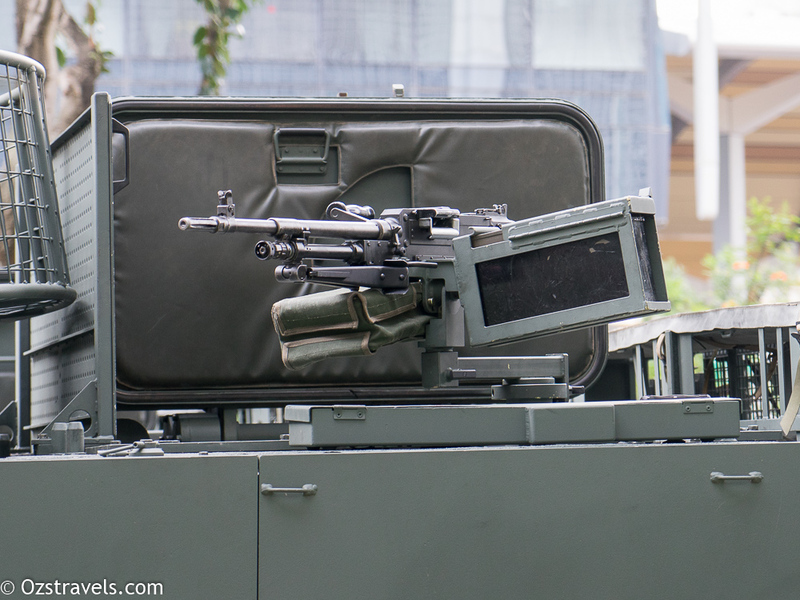 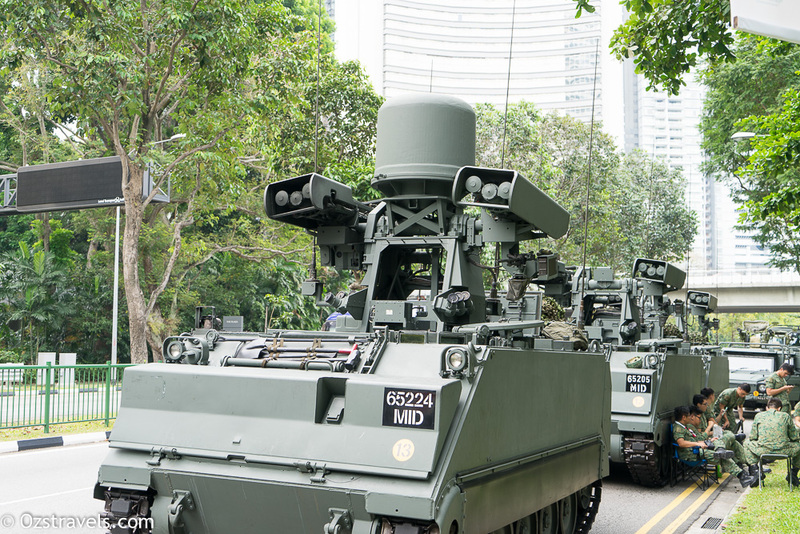 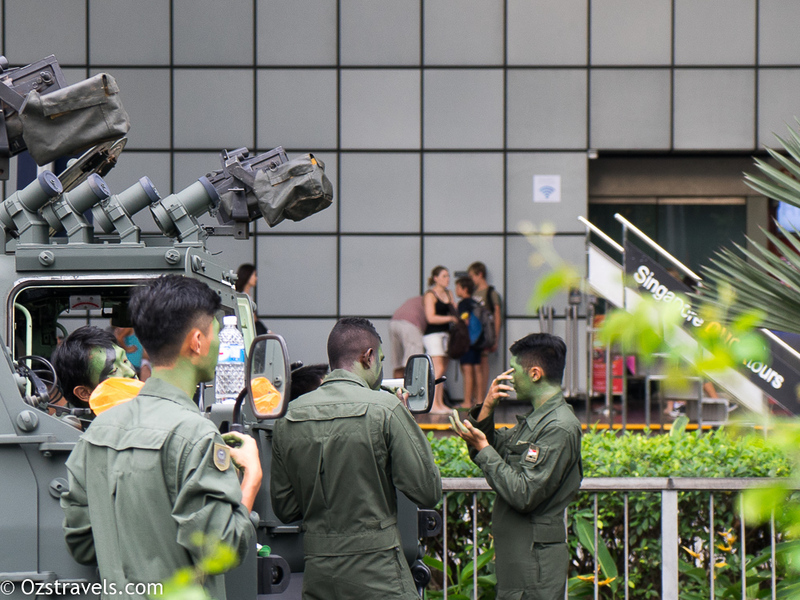 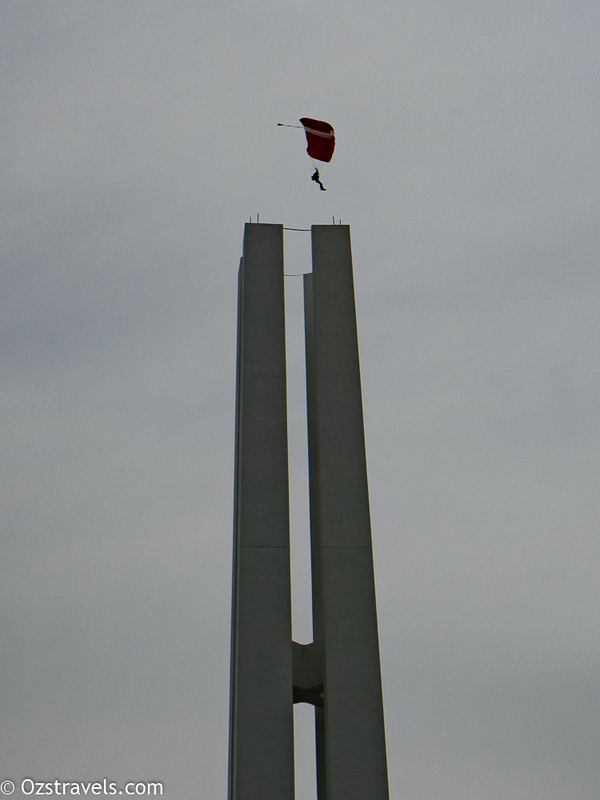 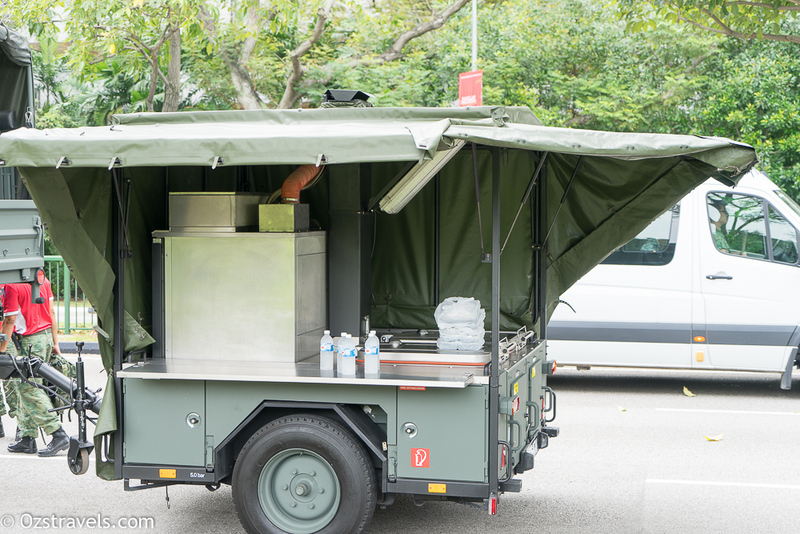 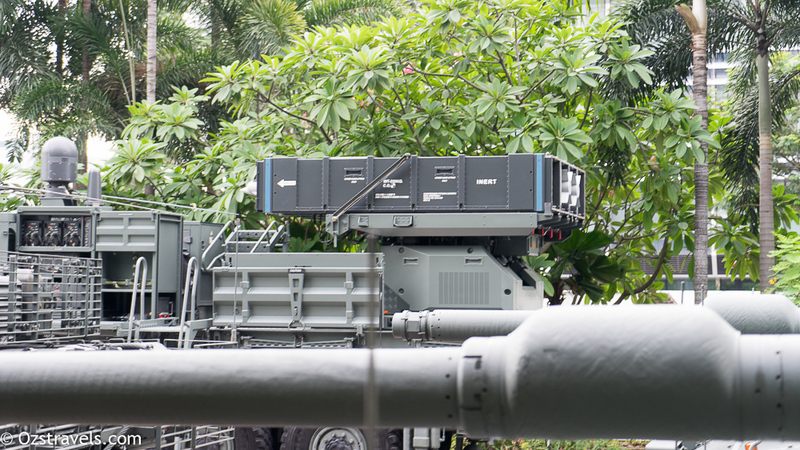 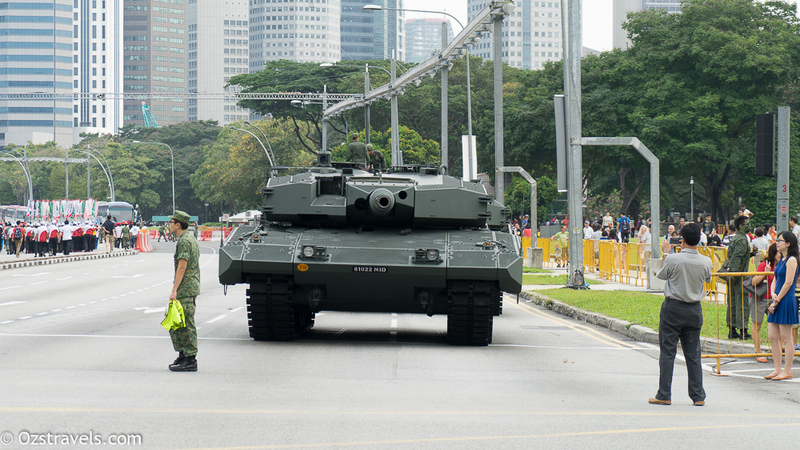 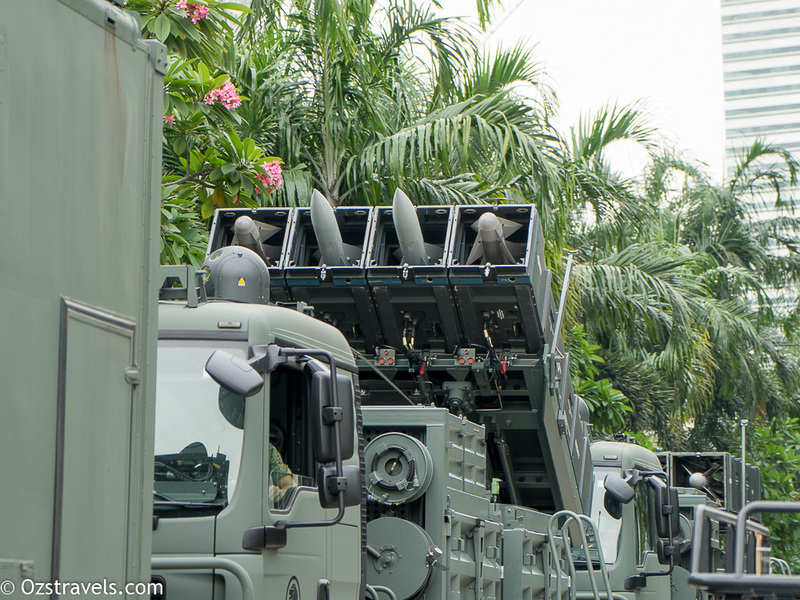 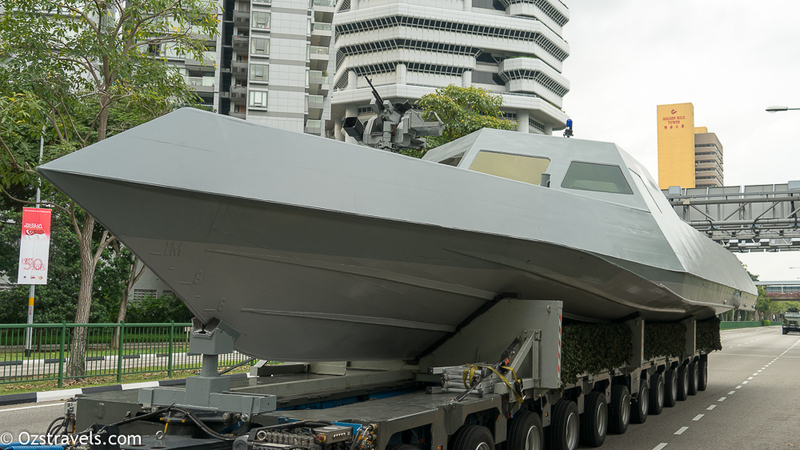 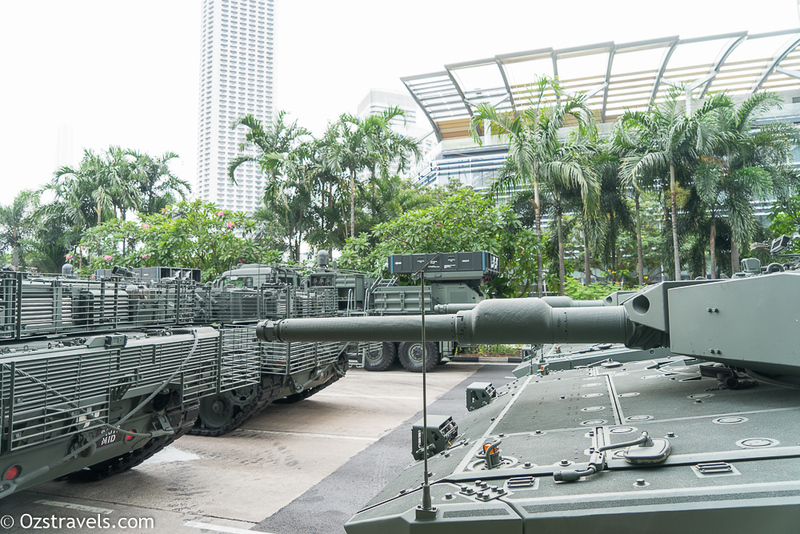 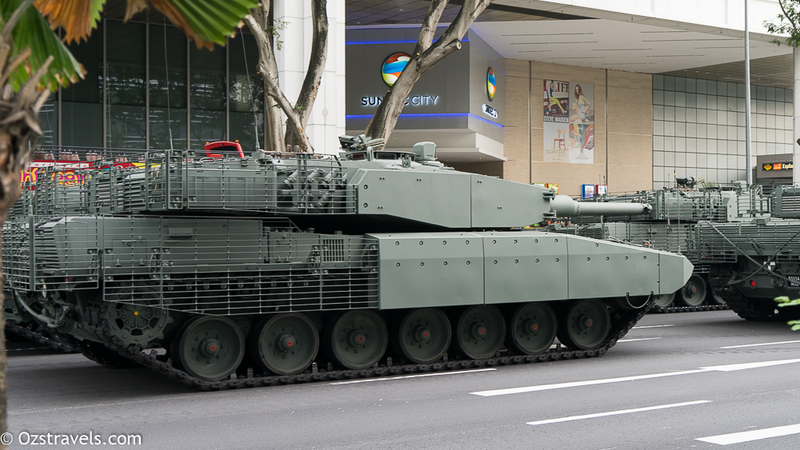 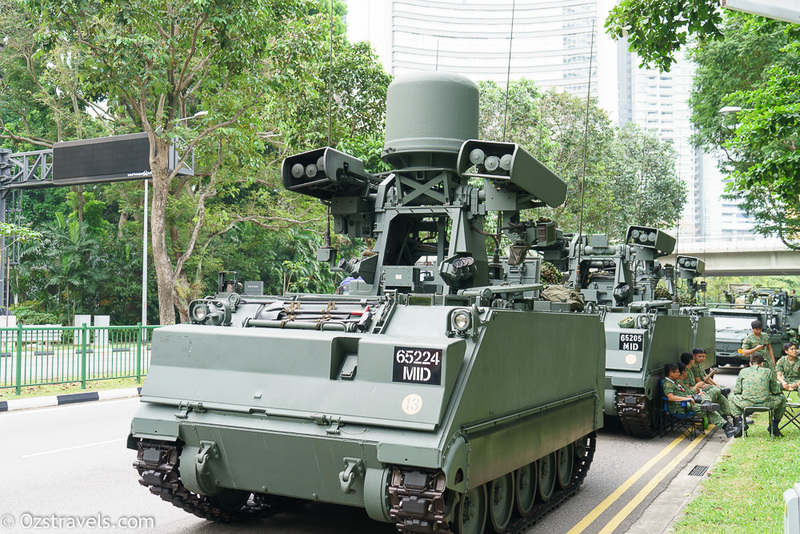 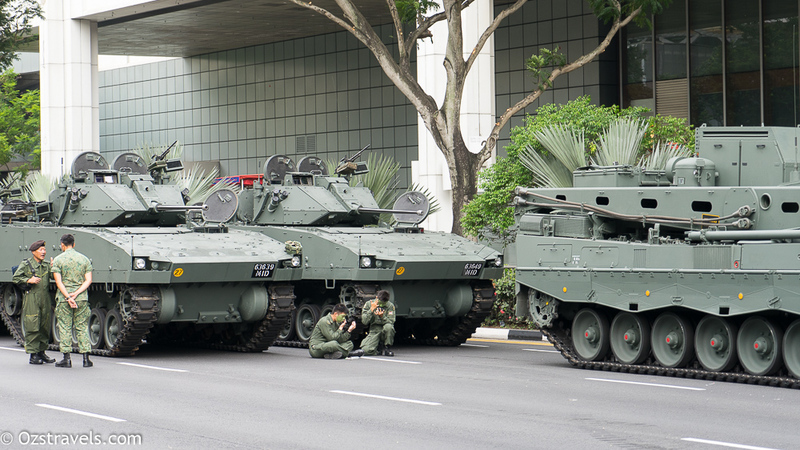 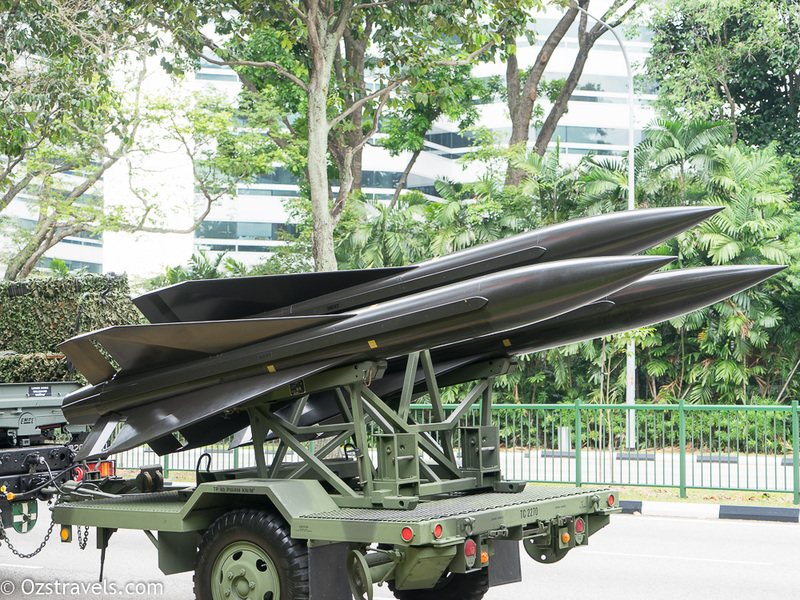 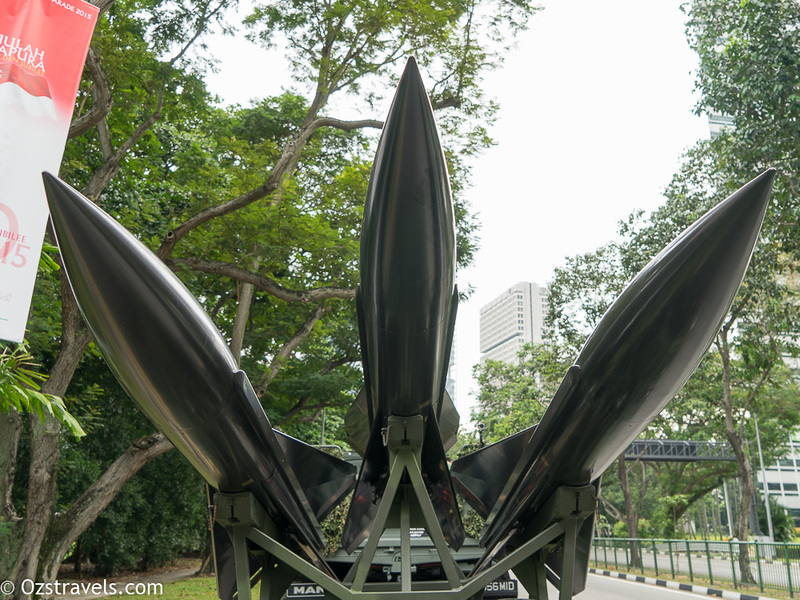 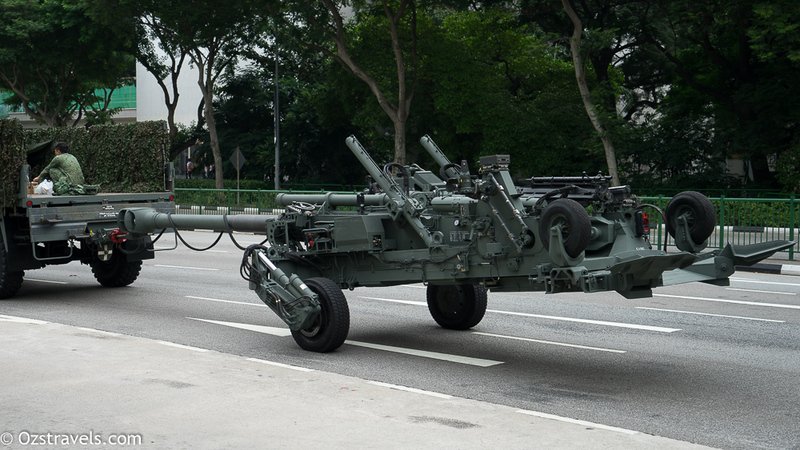 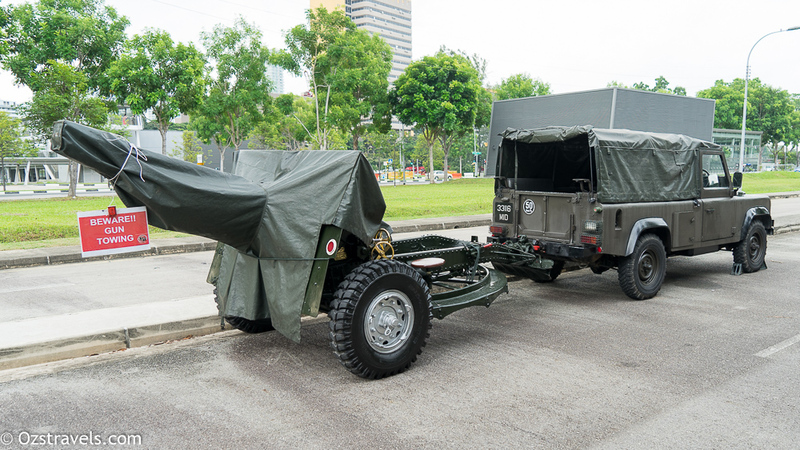 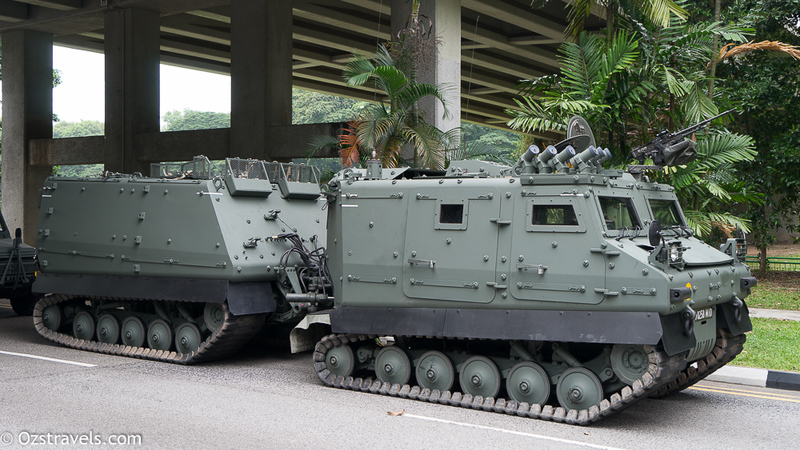 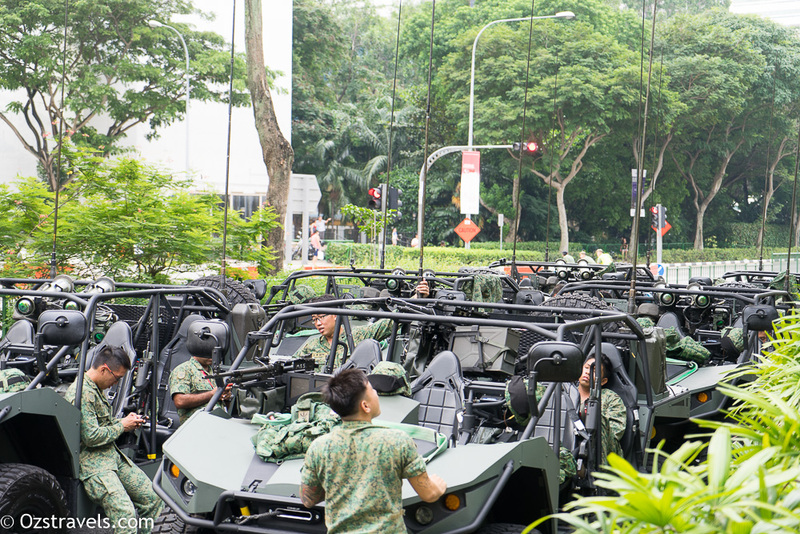 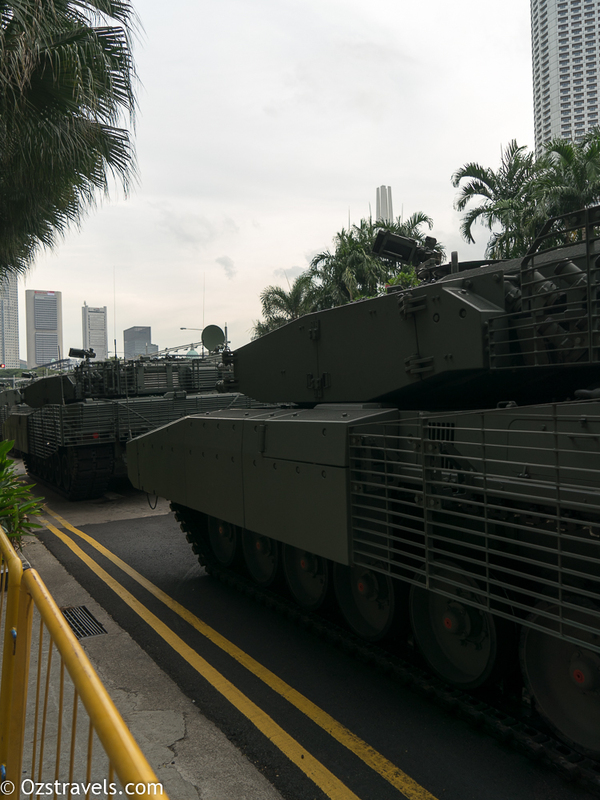 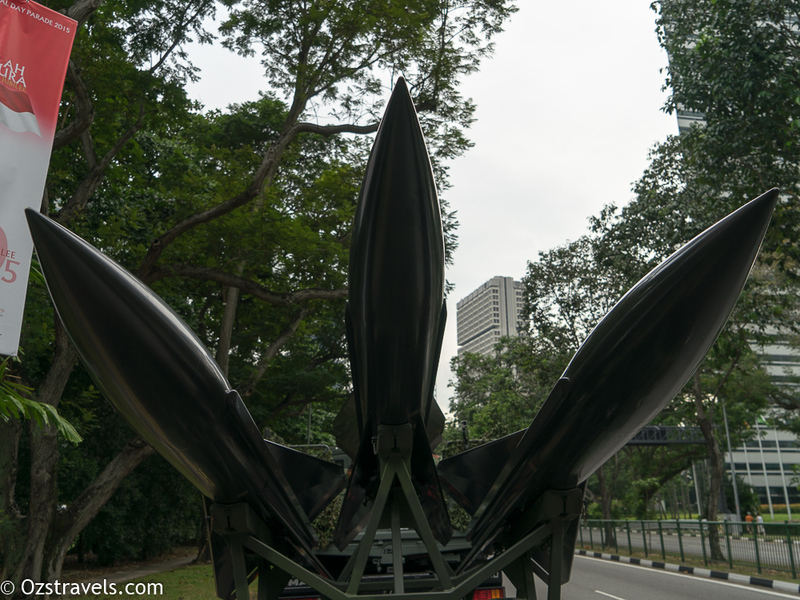 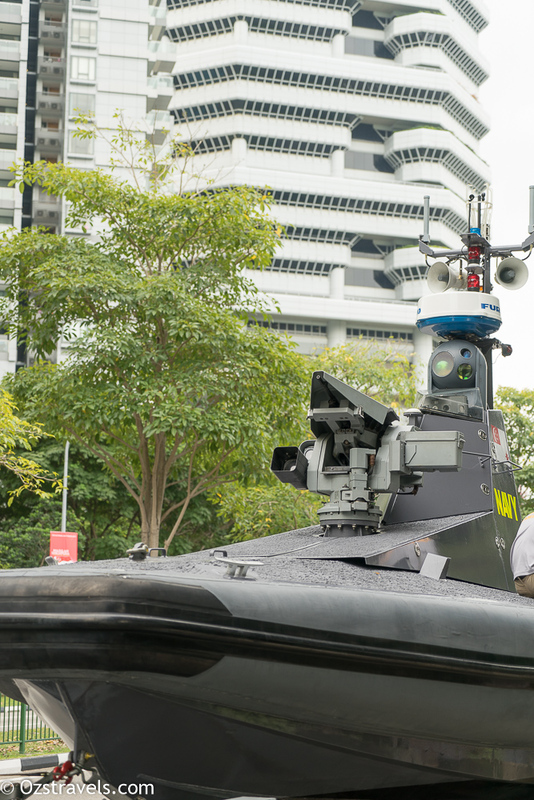 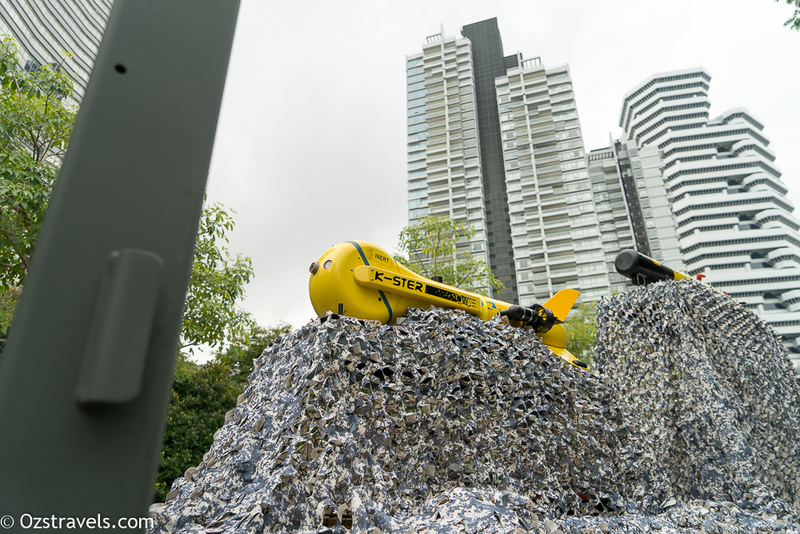 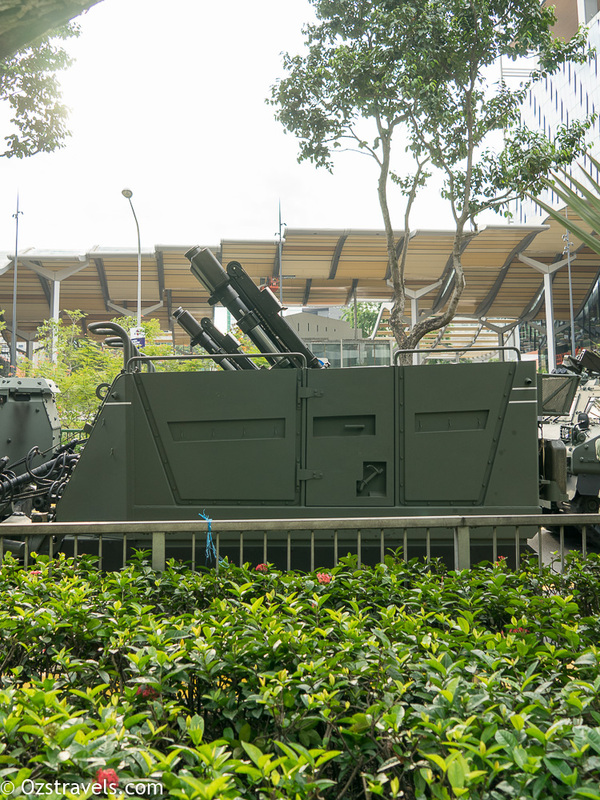 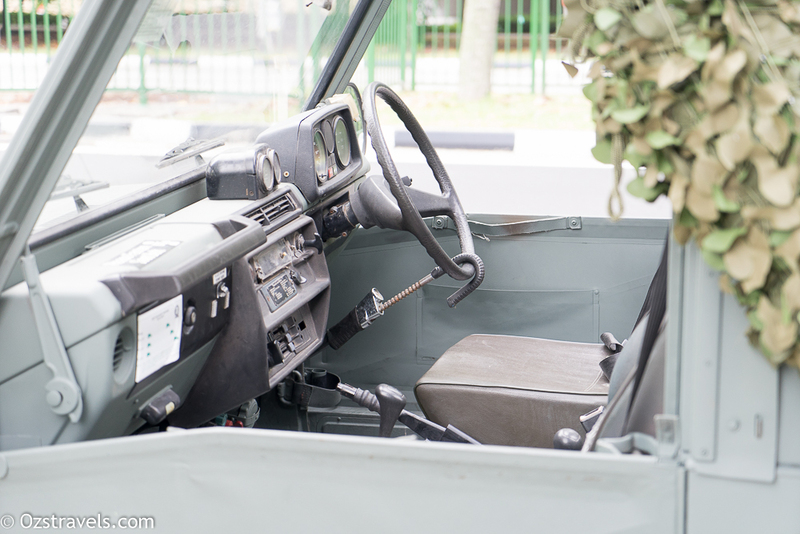 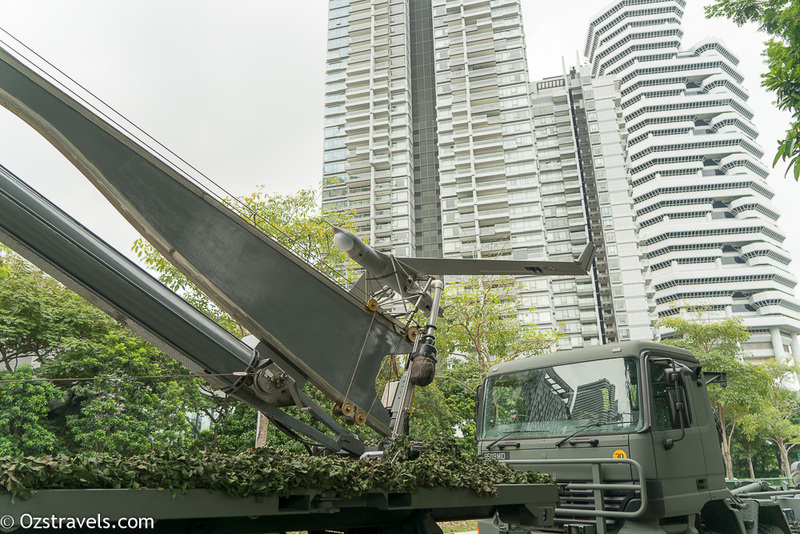 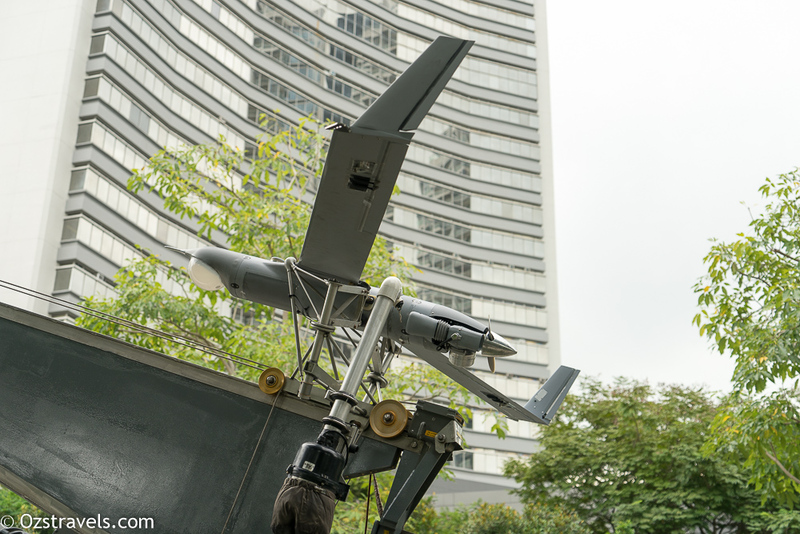 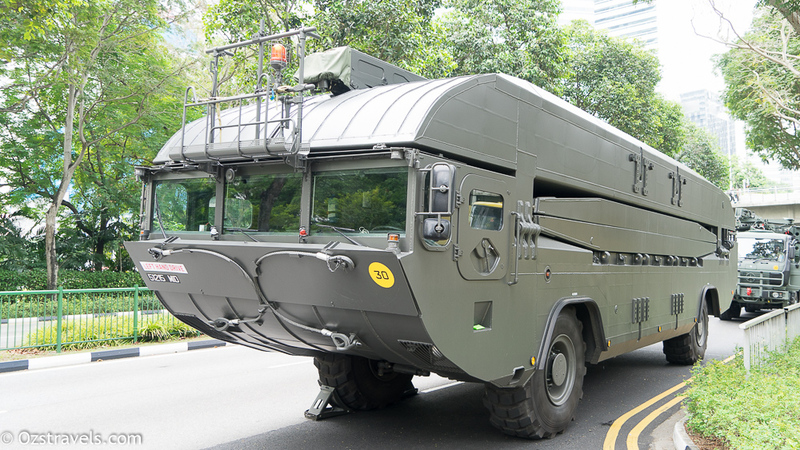 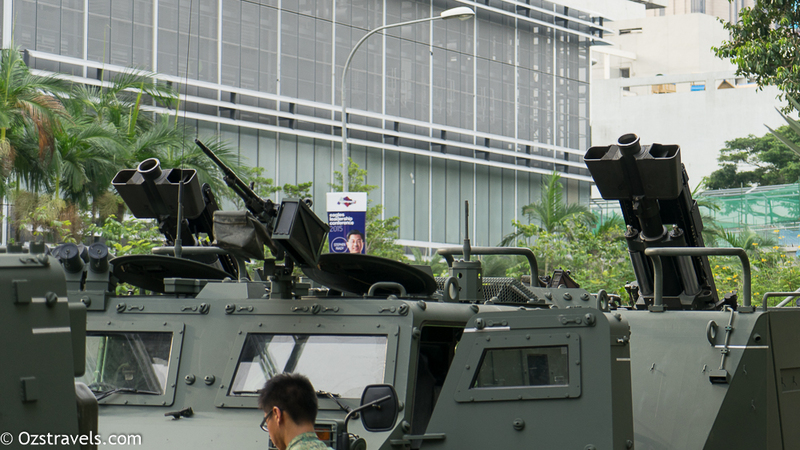 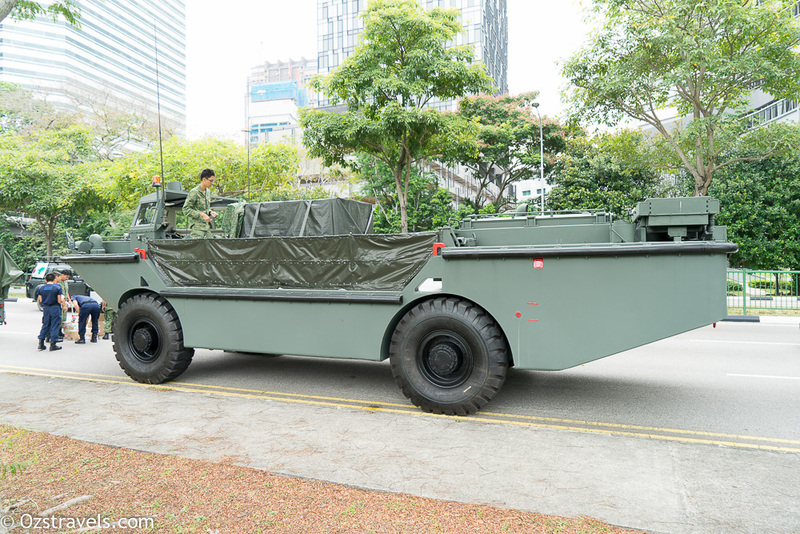 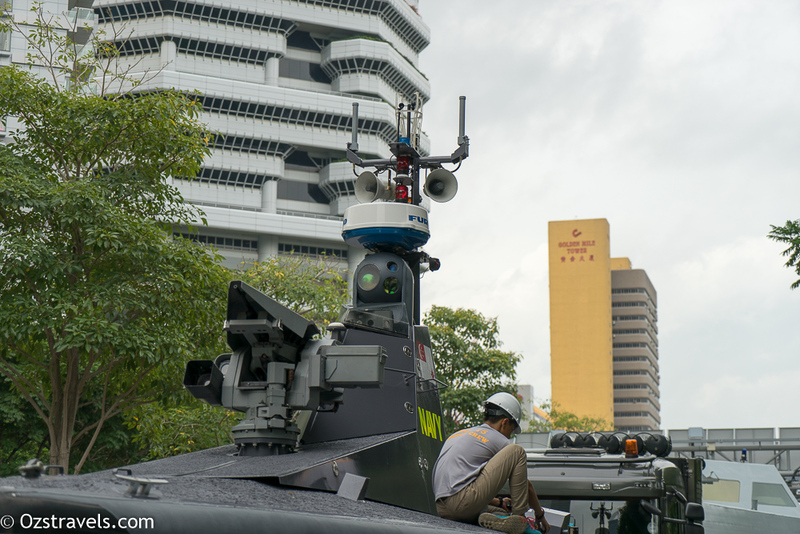 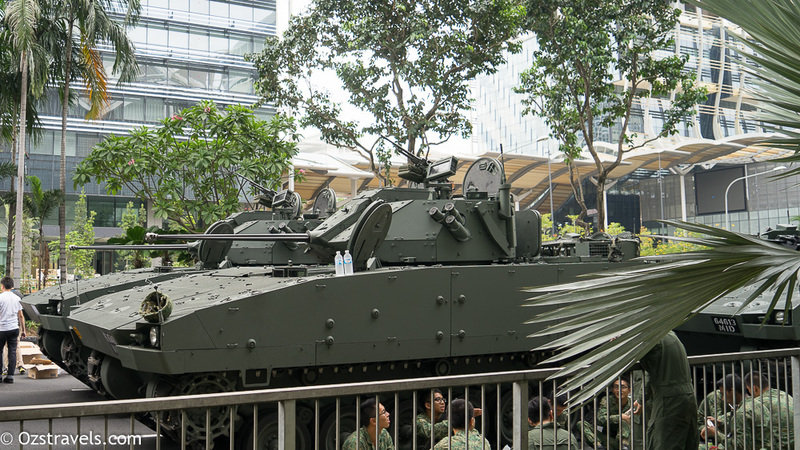 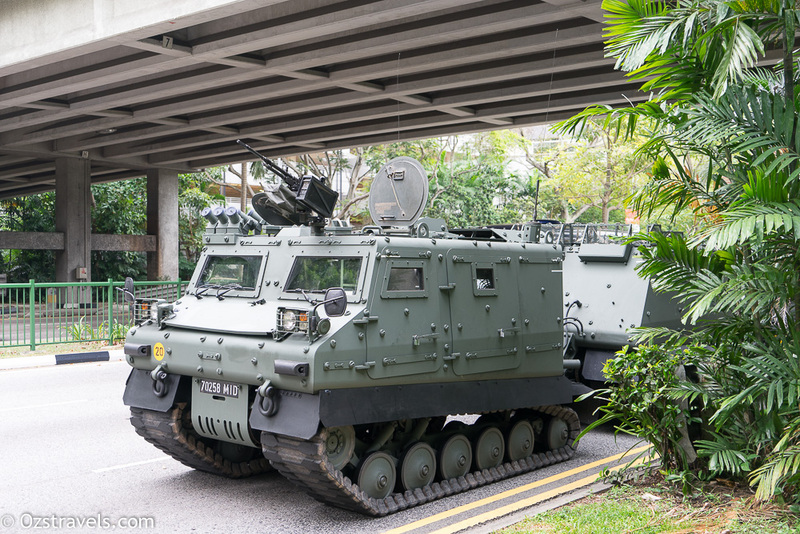 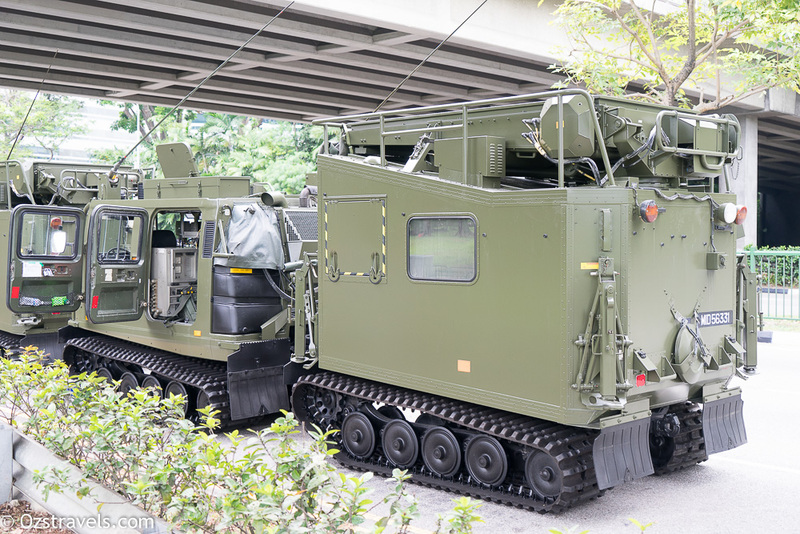 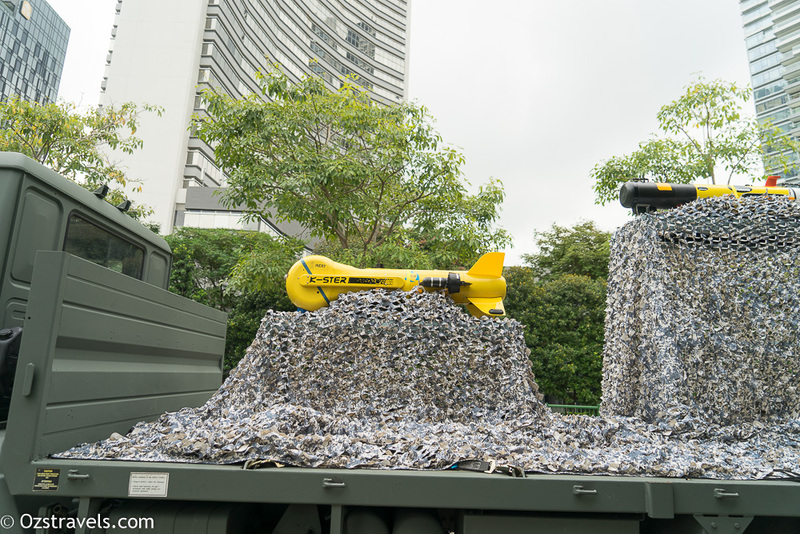 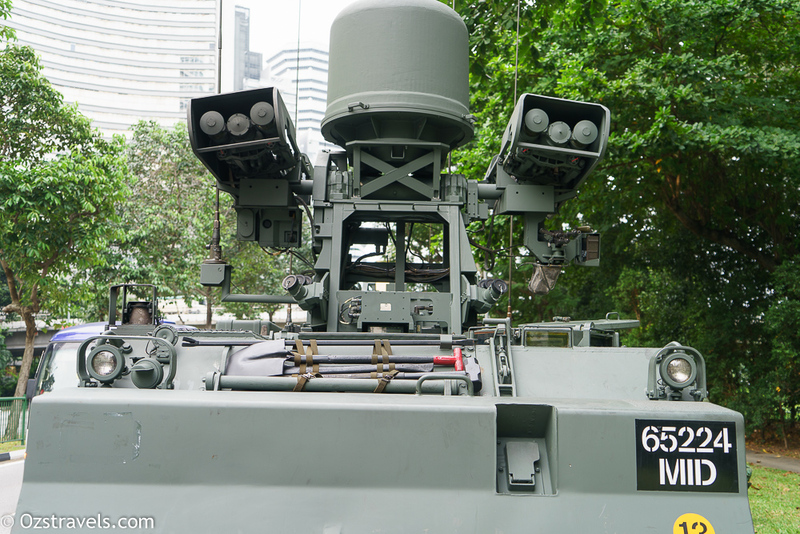 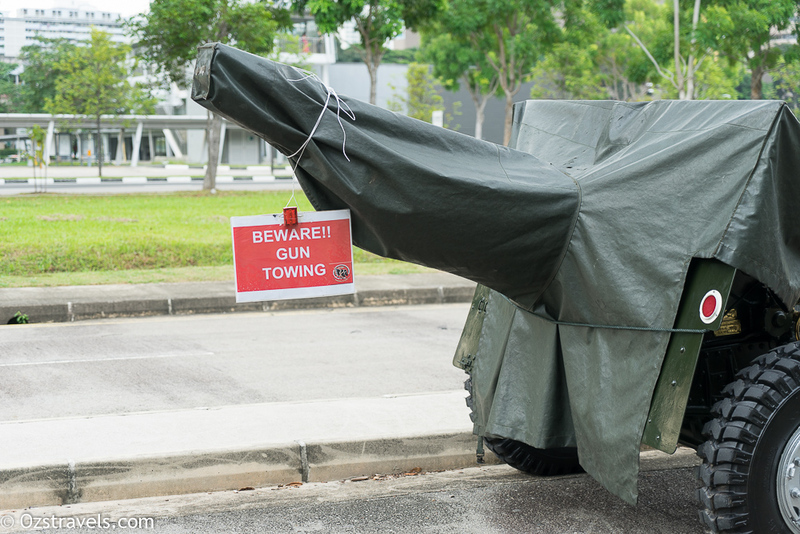 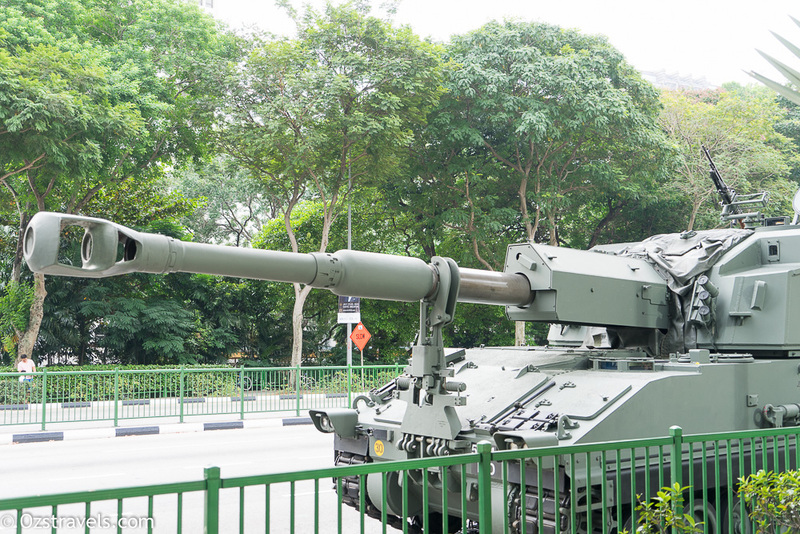 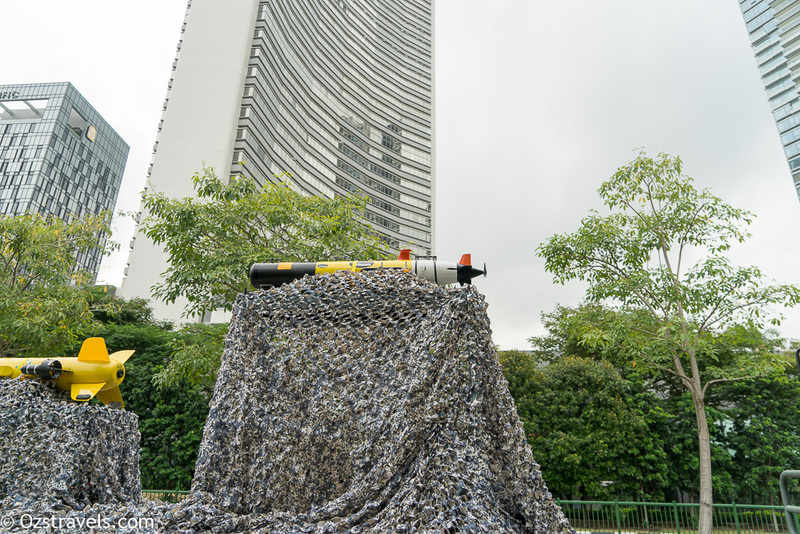 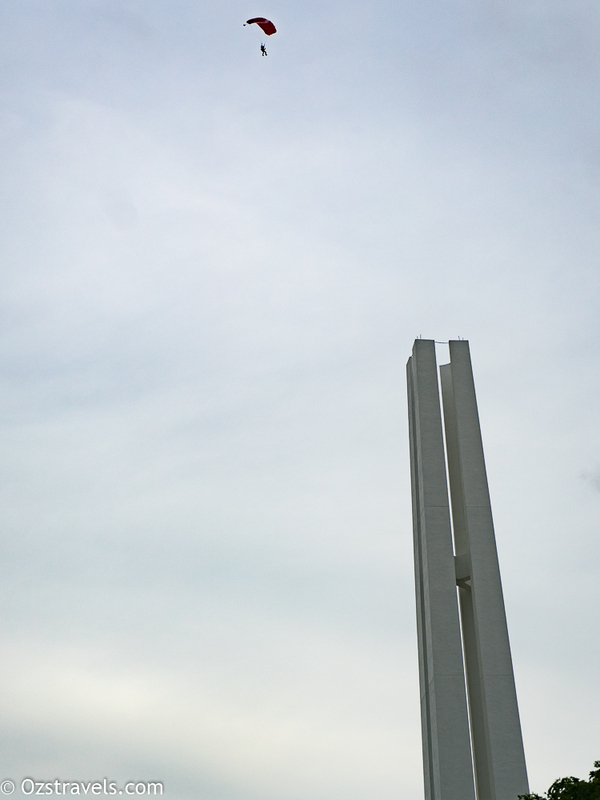 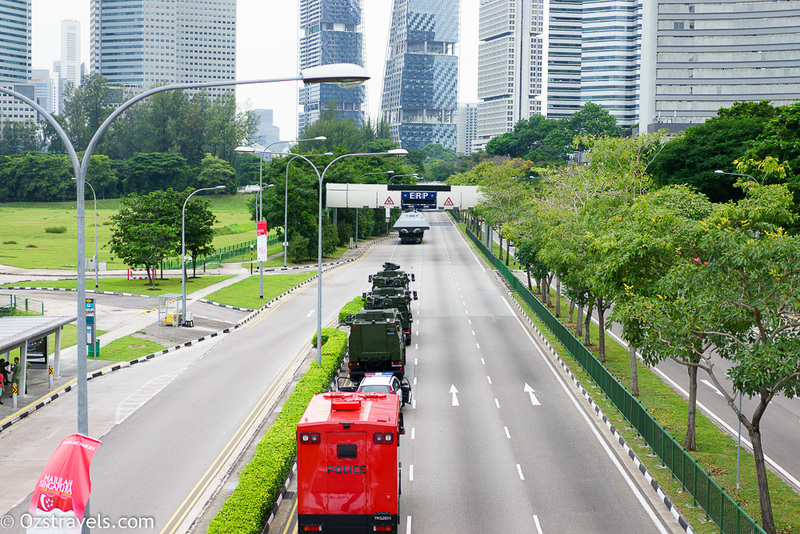 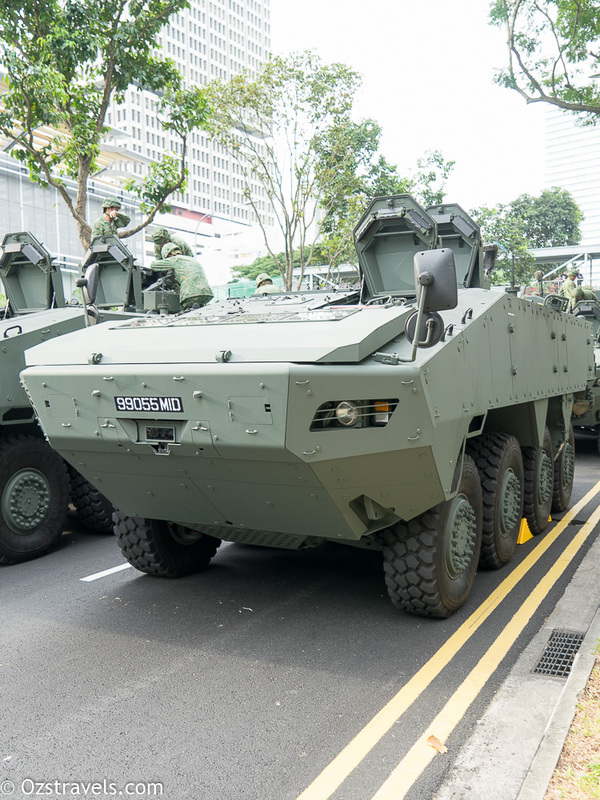 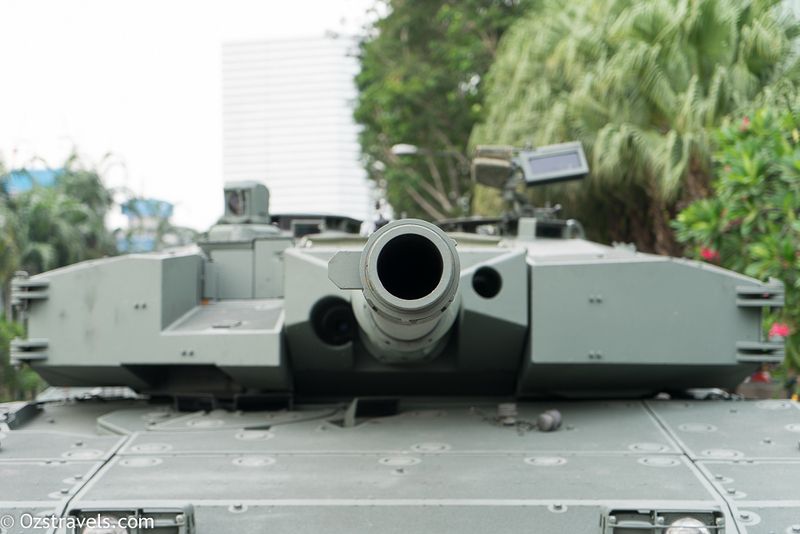 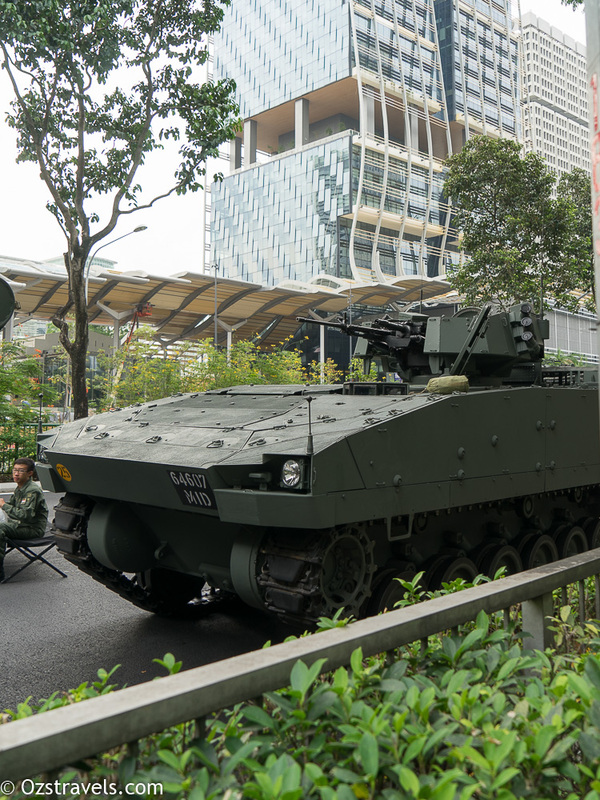 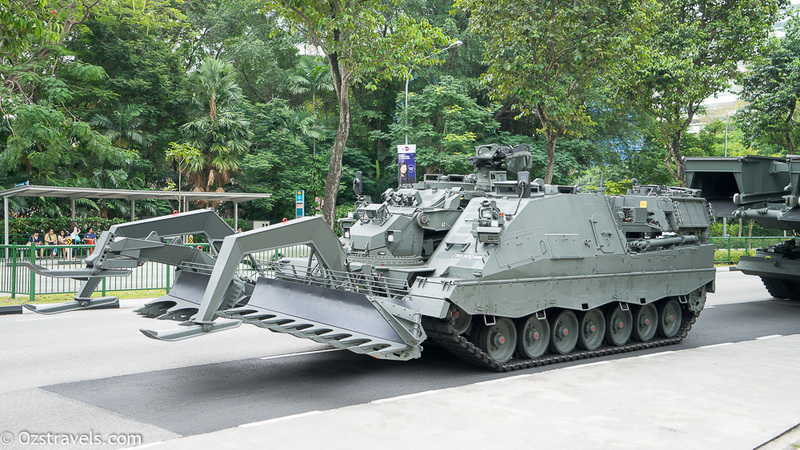 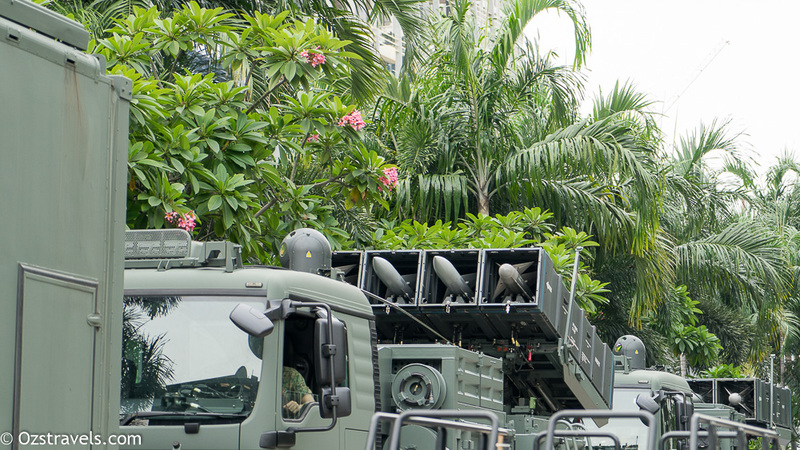 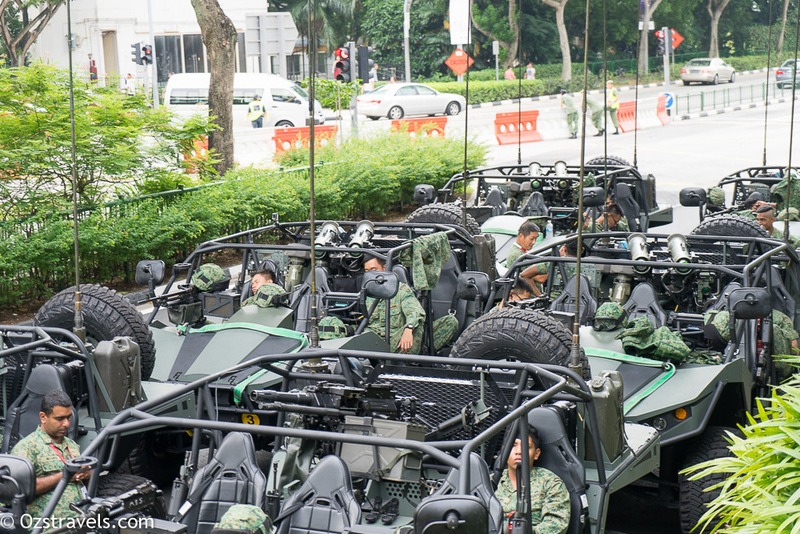 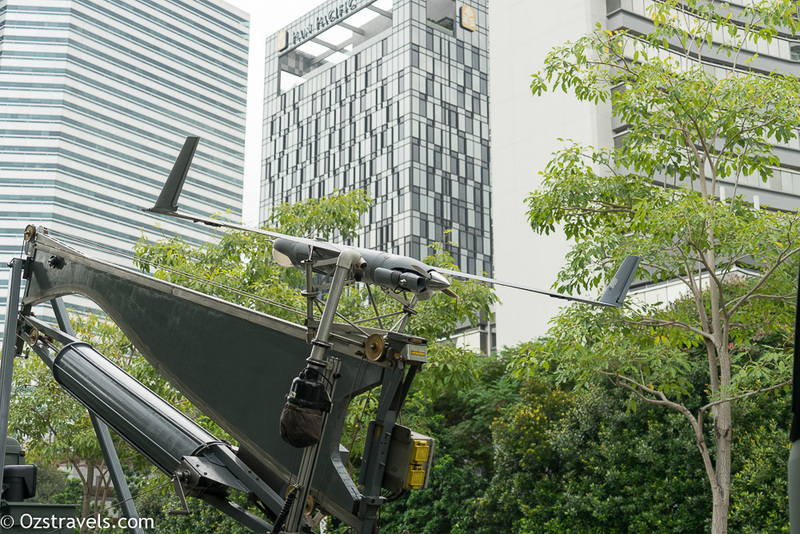 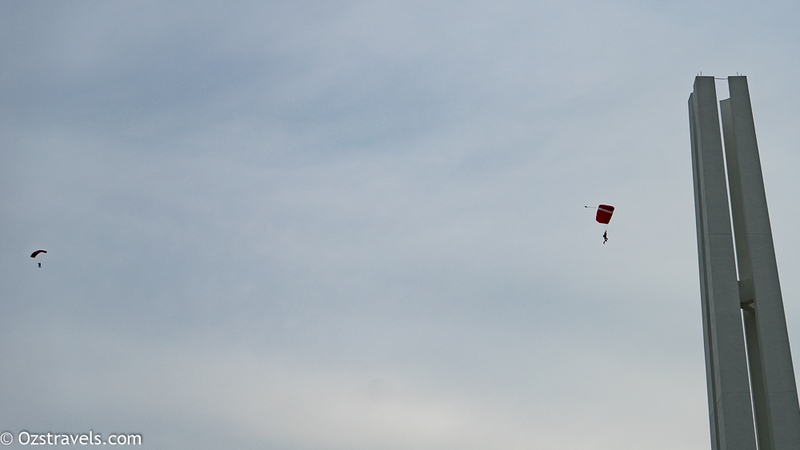 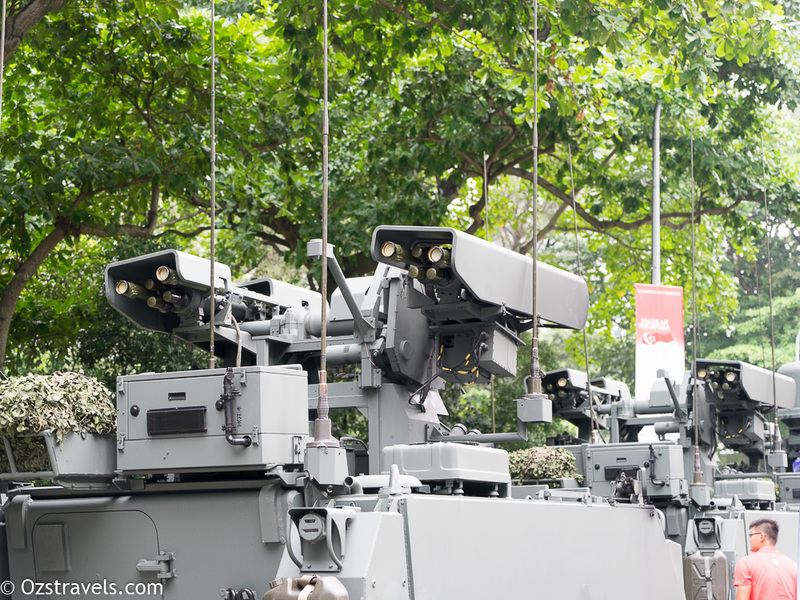 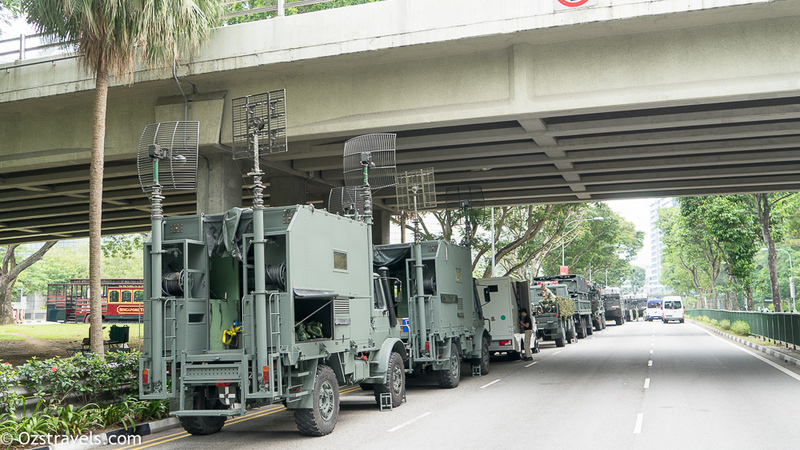 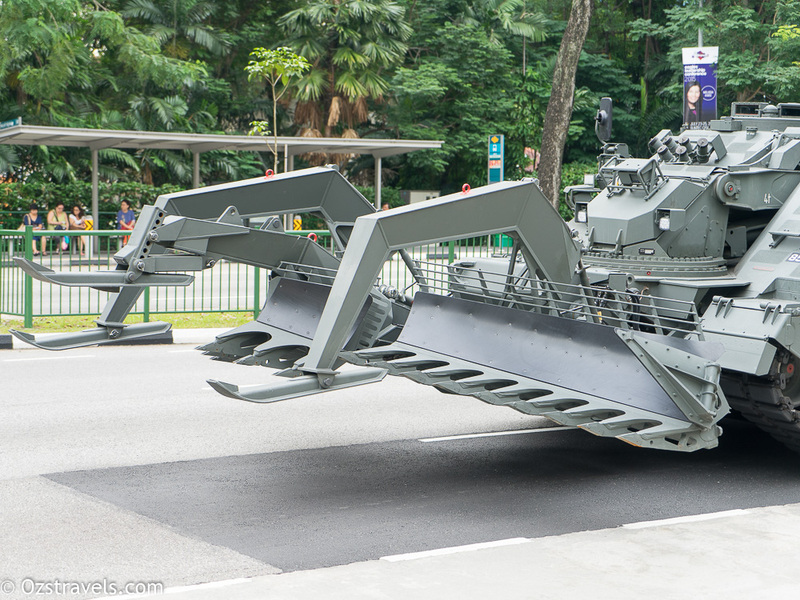 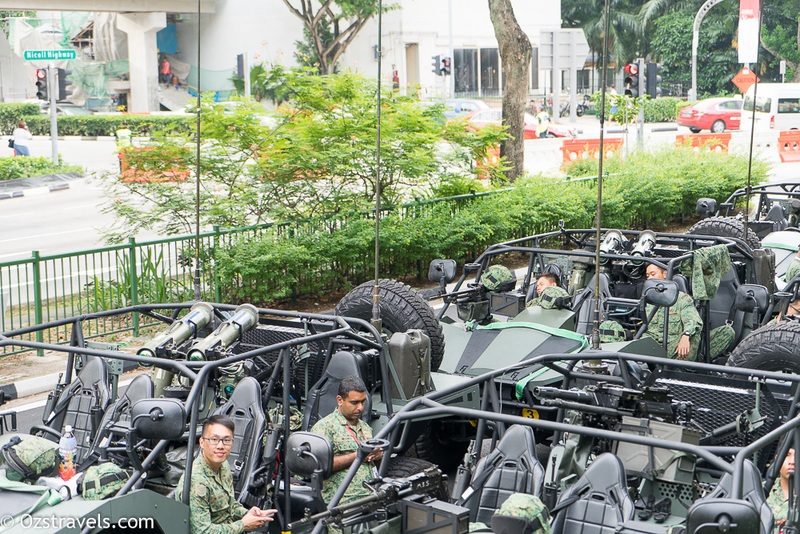 The vehicles in the parade were from all of the various branches of the Singapore Armed Forces including the Singapore Army, Republic of Singapore Navy and Republic of Singapore Air Force, as well as a Singapore Civil Defence Force contingent.